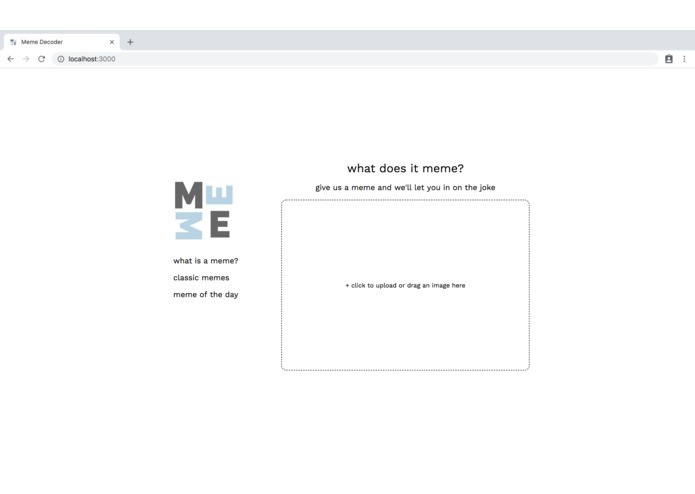 Memes are very popular these days, especially amongst younger generations. But, not everyone gets the joke and it et be frustrating when everyone gets the joke but you. 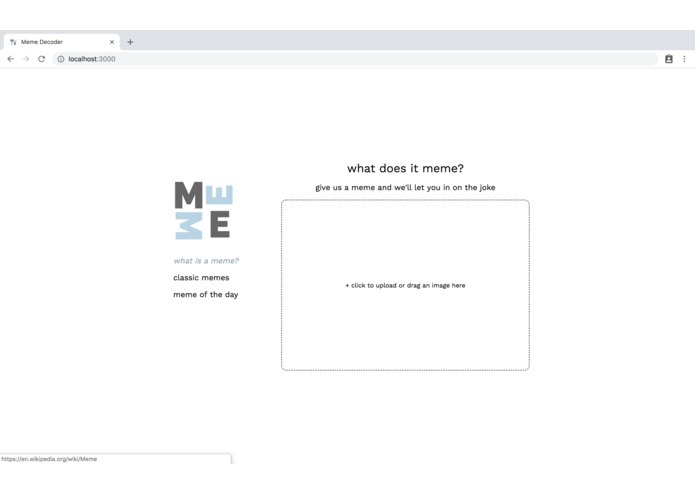 Give us a meme and we'll let you know what it means. A react app using react-dropzone and using Google's AutoML Vision API. 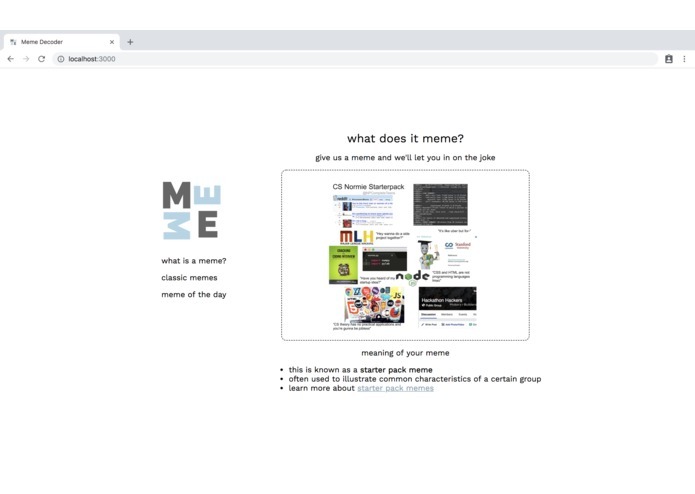 With the AutoML Vision API, we built a model with various types of memes that the meme the user submits would be tested against to determine its type of meme. We were unable to incorporate the AutoML Vision API due to limited time. We took a risk and decided to try out an ML and AI API. Although we were not able to use it in the end, we learned a lot about the API and how it works. I've learned that Google has so many ML and AI APIs that are readily avilable for use for students and the general public. A lot of which seem so interesting, so I definitely want to try using more in future projects.